I had the pleasure of getting an email from a reader today. Hi Shauna! (By the way, I love getting emails). She was asking if I had any ideas for the upcoming Grandparents day. I do have an idea or two that might work but I have to try them out first. 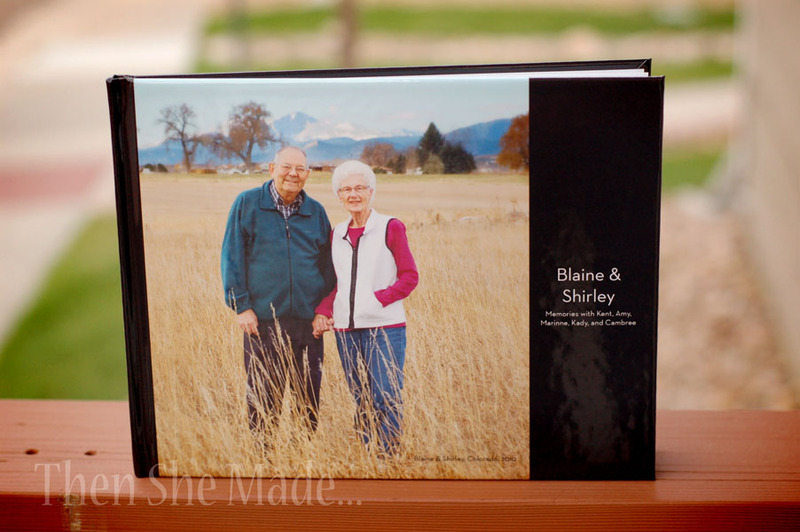 So, in the meantime, I thought I'd share a book that we just put together for our grandparents. We plan to give it to them this week. We (That's totally a Victorian "We". My husband did all the work) ordered it last week. It showed up on our door step two days ago and we love it. The timing of Shauna's email question and the arrival of the book could not have been better. I've seen photos books around for a long time but I'm not going to lie, I really wasn't interested in them. I'm old school. 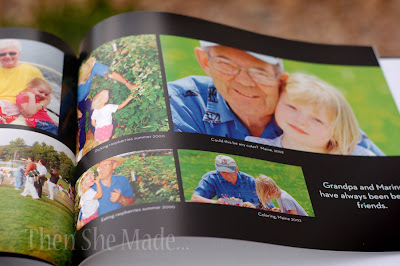 I love to scrapbook so the thought of just plunking pictures down on a page and having a book made didn't seem as special. Boy, was I wrong. I'm not changing my ways, scrapbooks, glue, paper, embellishments, still rock. But, these books have something special all on their own. So, my idea for nice gift for Grandparents day is to make one of these books. 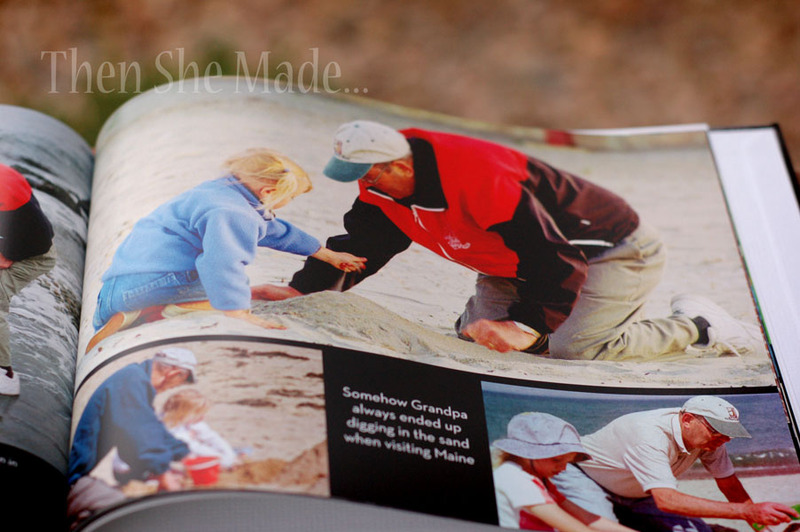 Ours was just a bunch of photos that showcased my kids spending time with their grandparents. Plus, we added in some quick captions. However, if you don't have a lot of photos, you could have family members write a letter on one page and add a photo on the other or something like that. There's a lot of flexibility here. Plus, if you get it ordered soon, you'll have it in time. 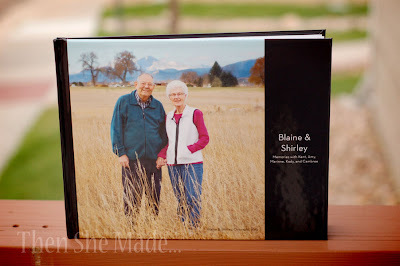 Shutterfly was super quick with ours, it was printed and shipped in less than a week. 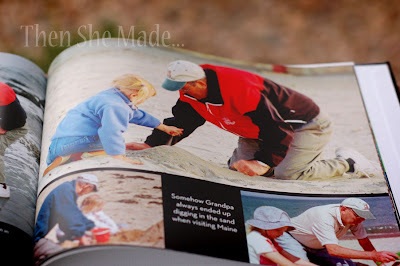 In looking at this book I am reminded at how special these two people are in the lives of my kids. What a great reminder to have it all in one place. Plus, I know they are gonna LOVE it. Just a bit of info, Grandparents day is always celebrated the Sunday after Labor Day. This year it is on September 11th. In the U.S. we've been celebrating it since 1978 and it was created in an effort to get the youth to recognize the contributions seniors have made through out history. Pretty cool!